If you’re just now joining us here on LaurenConrad.com, we’d like to introduce you to this month’s theme of Shape Up. That doesn’t mean that all of our June content is geared toward hitting the gym and getting your sweat on. All month long we’ll be chatting about health and wellness spanning from nutritious eating, the best workout gear, and even healthy beauty routines. Because healthy and strong is beautiful! Our first activewear roundup goes out to all of the yogis out there. Heading into a yoga studio requires minimal equipment, but it’s important to have the right stuff in hand regardless. One thing you can do without? Shoes! Slip on your favorite flip flops or slides and you’re good to go. Whether you’re a yoga master or just starting out, we all know the importance of a supportive sports bra and high waisted leggings that won’t shift and move while you transition between poses. Don’t forget your yoga mat and water bottle too! Every spin lover out there will tell you that proper shoes are a must. While most spin studios let your rent shoes, it could be worth the investment to buy a pair of your own. Like most of the other classes on this list, a good sports bra, leggings, a comfy tank and socks are also a must! One last thing you should throw in your gym bag is a towel. Because let’s face it, you won’t be leaving a spin class without getting a little sweaty! You’ll be skipping the shoes when it comes to barre and pilates. Instead, you’ll want socks that help you grip the floor, like the ones we’ve linked below. When it comes to this workout, the bare minimum is just fine with a classic pair of leggings, a tank or T-shirt, and of course a water bottle to stay your best hydrated self. Last but not least, we have circuit training. Get your heart rate up in style with either shorts or leggings, a breathable shirt and the proper footwear. Shoes designed specifically for training will reduce injury and pain. Circuit training can sure kick your booty in the best way possible, so we recommend carrying a sweat towel and plenty of water with you. 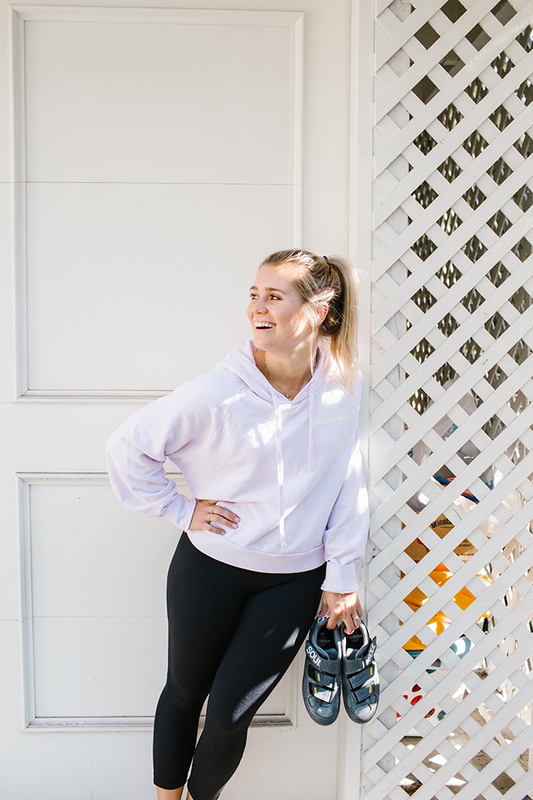 If you’re new to any of these classes, it might take a couple of sessions to find out what you’re most comfortable with when it comes to activewear. But with the right gear, you’ll be well on your way to a successful (and stylish!) workout. What are some activewear pieces you can’t live without? Let us know your picks in the comments below!